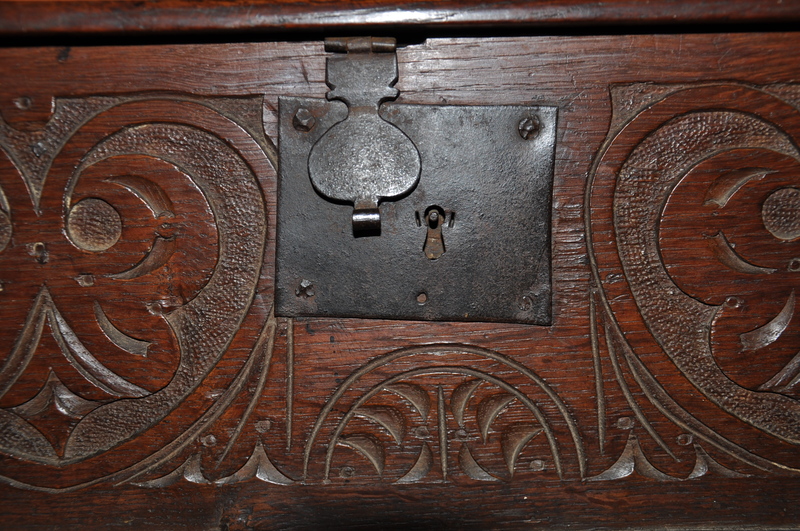 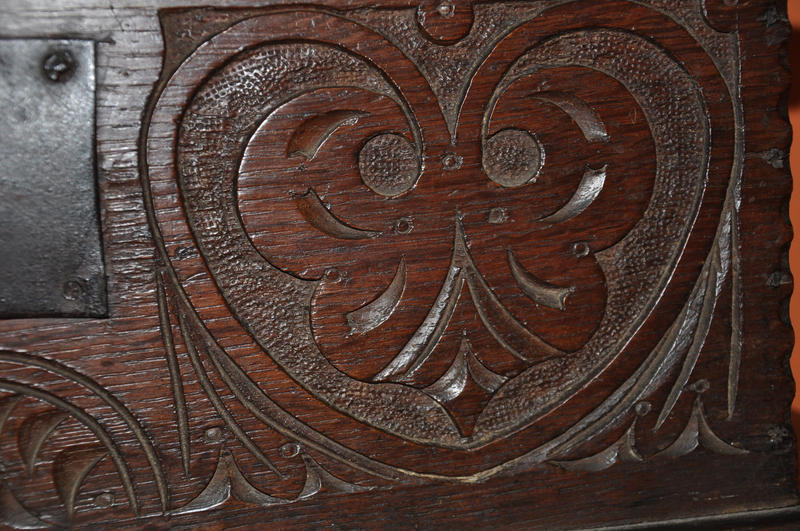 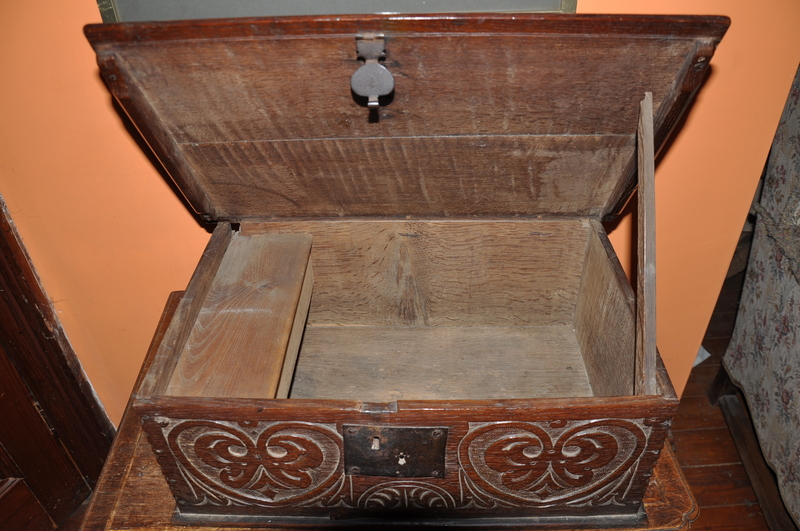 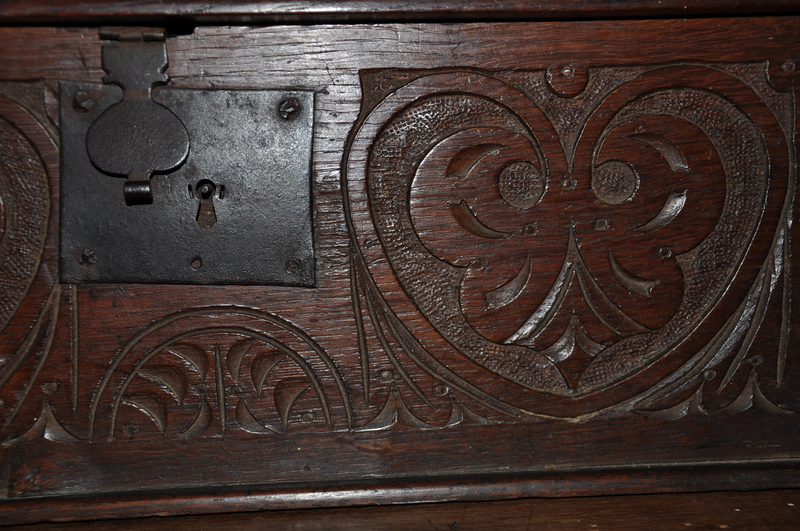 17th Century Oak Bible Box crisply carved, in wonderful original condition. 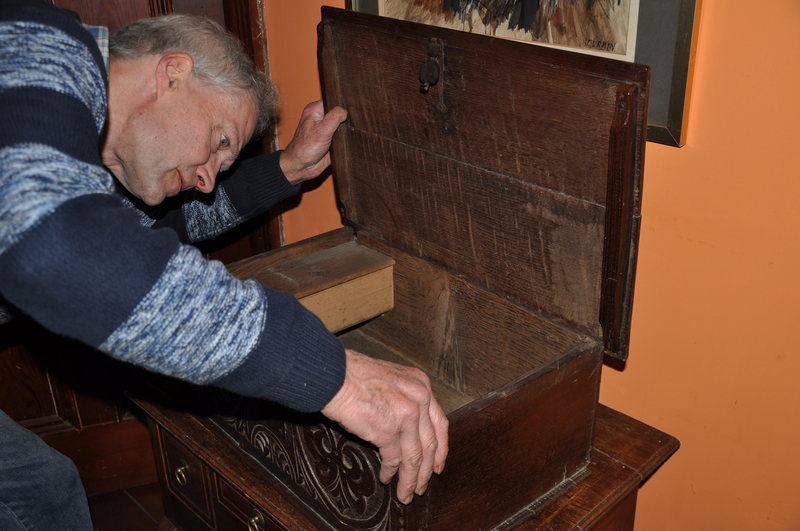 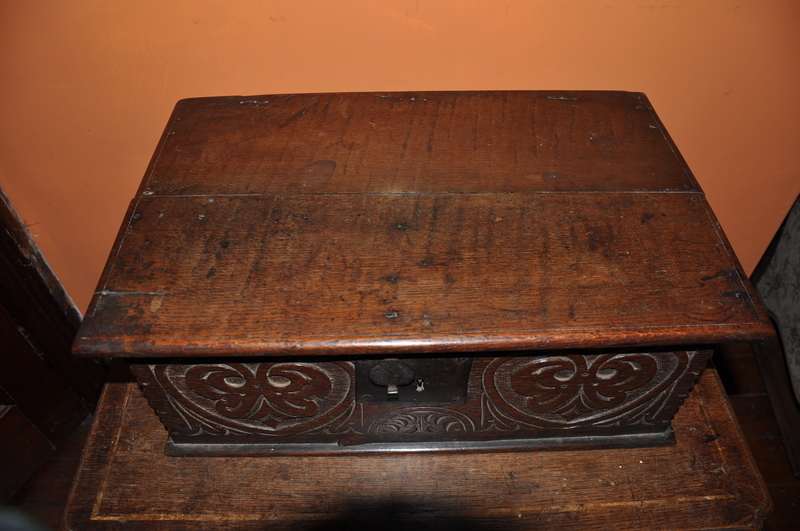 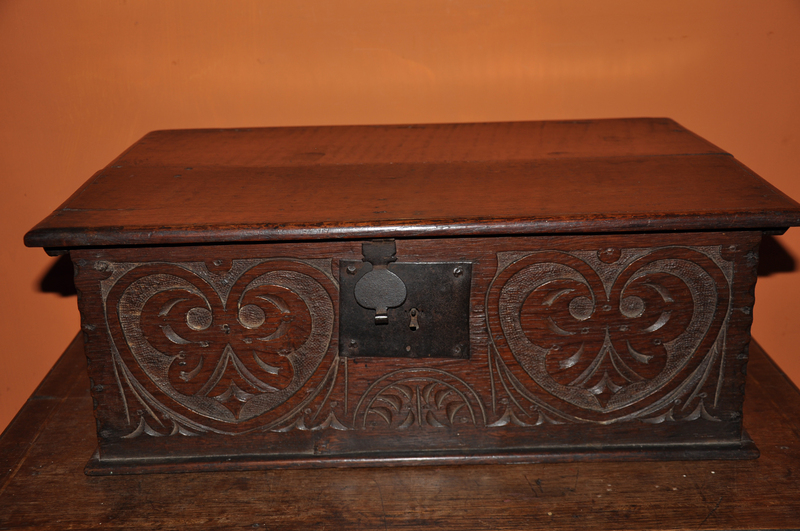 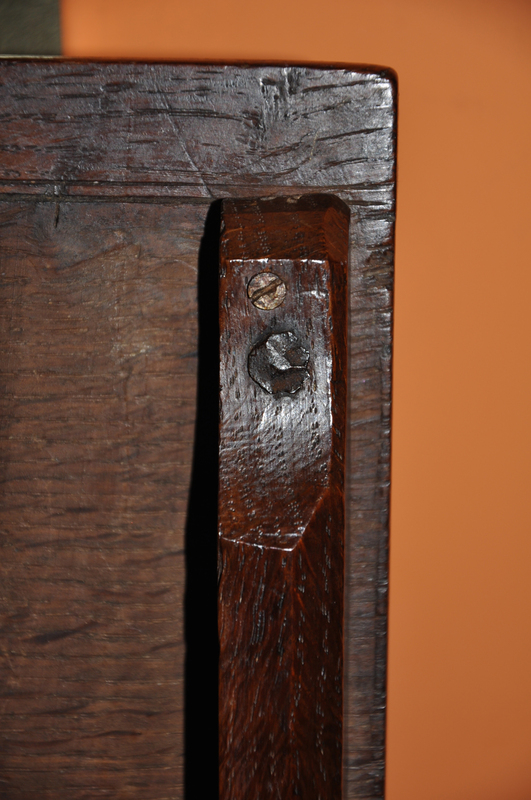 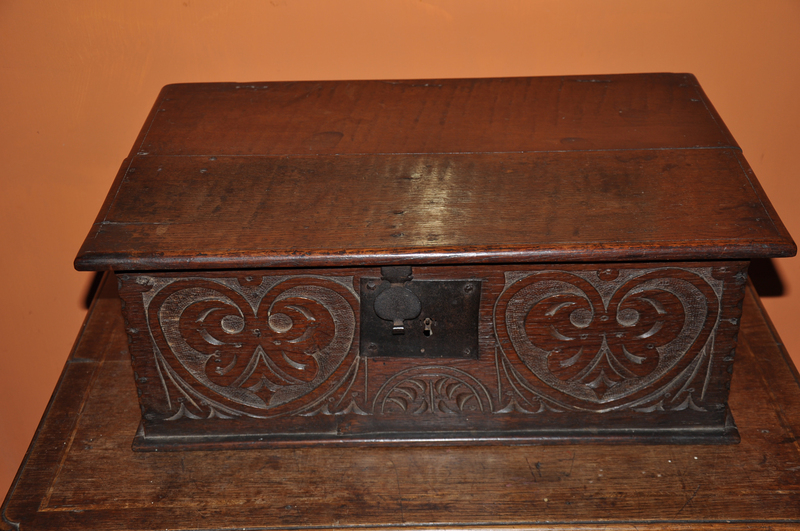 Retaining the original candle box ,lock plate, hinges and even the lid support. 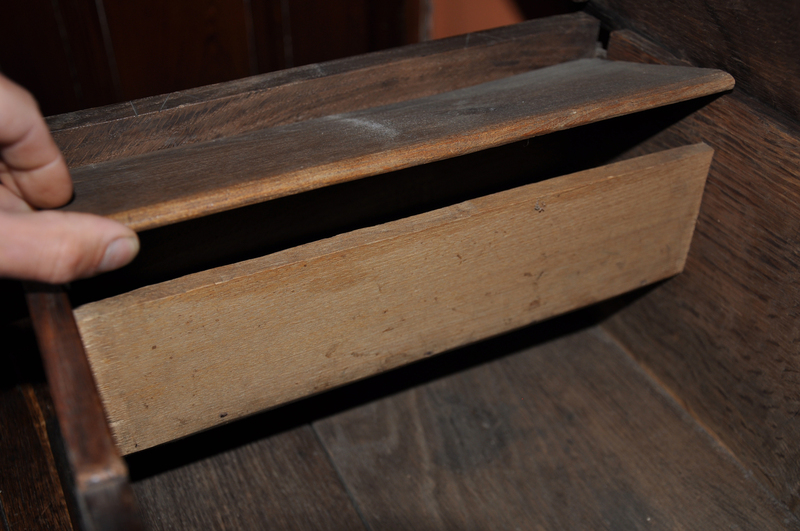 The Colour and surface is very good.